-Confirmation on Gusion's 2x head vulcans. -Guts confirmed to get Gusion. -It seems Tekkadan got a new ship for the following battles. Official website updated: Ryusei-go is the official English name, model number EB-06/tc2. And Gusion Rebake's official pics: that is indeed its final colors, very unusual. 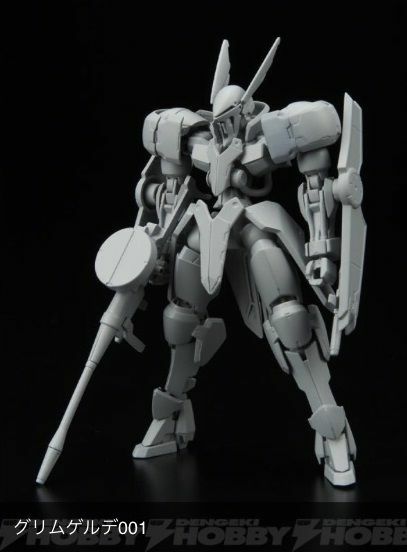 The Halberd from Option Set 3 seems to come with an attachment joint, so it belongs to either Barbatos or Rebake. 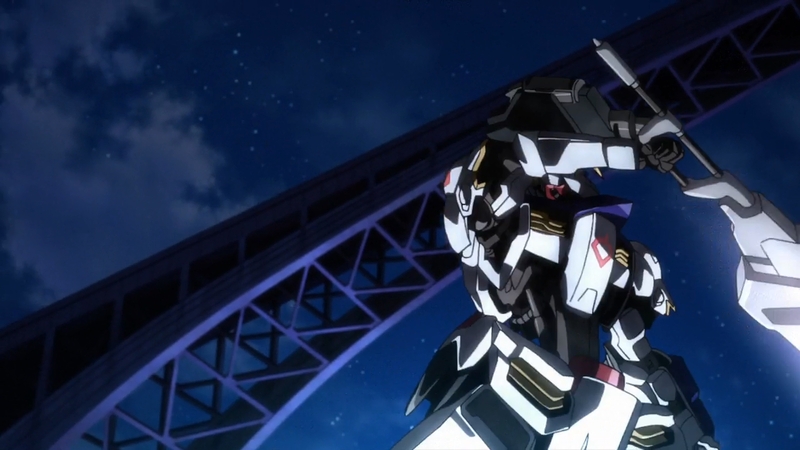 Official site gave us Kimaris official armament names: Gungnir and Combat Knife. 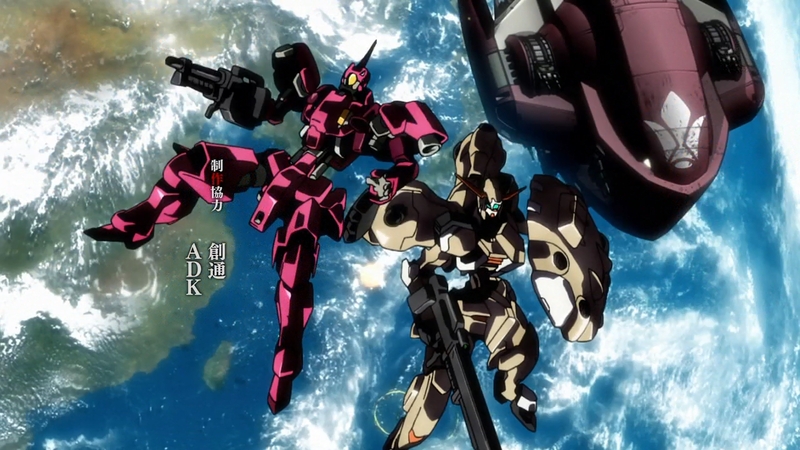 **chinese wiki new spoilers(pending confirmation) for Valkyrja Frame: has 2 new Ahab Reactor working together like the Gundam Frame, no AV, head can open like the Graze. 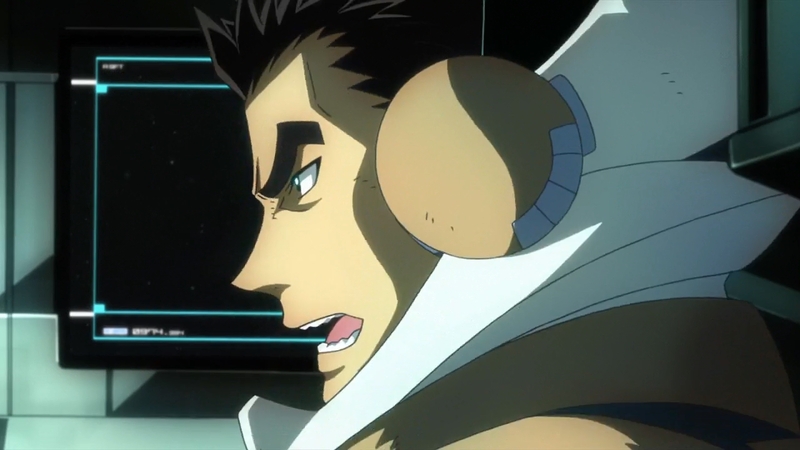 Also, Orga is listed as the Ryusei-go pilot. -Gjallarhorn Mobile Worker: Model number: NK-17, overall height:6.3m, dry weight: 3.6t. Gjallarhorn specification MW that has been developed for military use. It's larger compared to the average machine, output is also high, making it possible to equip larger caliber armaments. -Gusion Chopper: a short size hatchet type armament that increases the machine's power at a distance so short as to come into contact. It has a thruster structure on the back of the blade, it enhances destructive power by a jet emission at the same time of the impact. -Gusion Axe: a characteristic long axe that has a hammer ejection mechanism at the tip. The hammer is attached with a chain, it also fulfills its purpose as a morning star. A melee armament with a long effective range. They left the Halberd out for now, from the pic its handle is identical to the Barbatos' Mace so it must be a Tekkadan weapon. 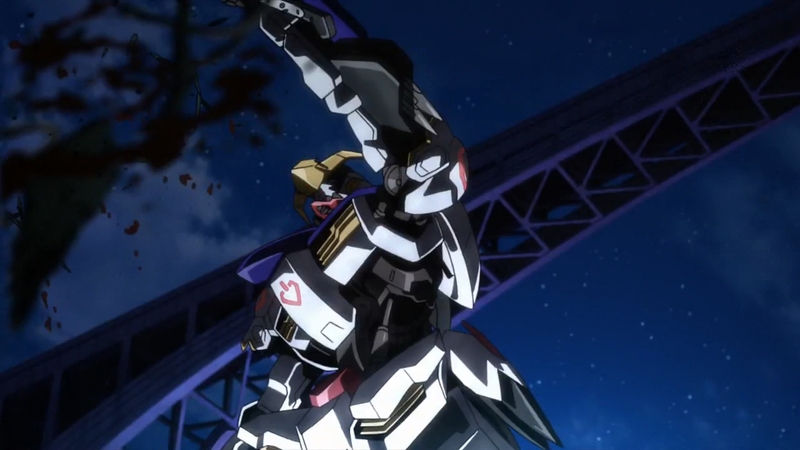 It also seems to have a pile bunker mechanism just like the Barbatos' Mace. balofo wrote: Official website updated: Ryusei-go is the official English name, model number EB-06/tc2. Well that's kind of odd. The more I look at this one, I feel like it's the one IBO design that doesn't immediately jump out at me as awesome. Like, it's got a lot of cool parts, but as a whole, it's kind of a mess. Gjallarhorn Mobile Worker: The Blu-ray that I have lists two versions in the booklet. The one shown in the link above is classified as the "Martian Surface-use" version. The other is called the "logistical support/rear support equipment" (後方支援装備). 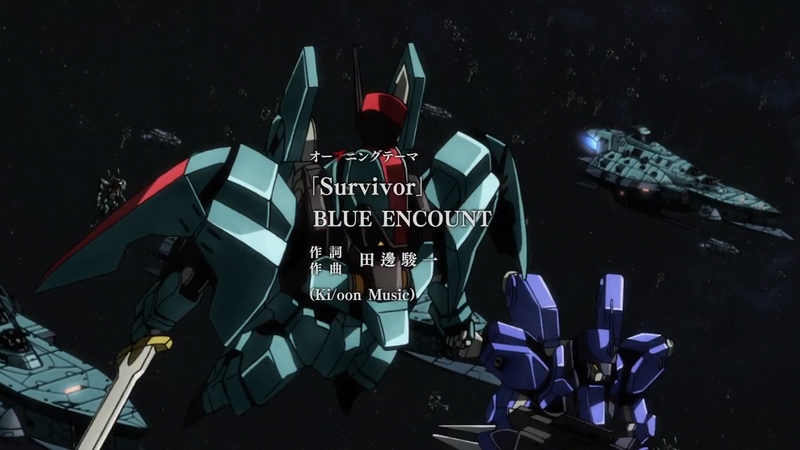 Gundam Ace has lineart for the Biscoe-class cruiser. Also has lineart for the Gusion's hammer. Says there are 4 thrusters on it. The machine gun also has a sliding stock on it. Thanks for the translations. Good to finally have info on the Gjallahorn mobile workers finally. A larger new model unit than the CGS machines. Pilots enter the unit from an underside hatch. In addition to the basic armament of the machine gun, it also uses an antipersonnel chain gun under the machine. This unit can also be equipped with missile pods for rear/logistical support by replacing weaponry. -Model number: STH-05/AC. Overall height: 18.2m, dry weight:35.5t. -Amida's Hyakuren: Currently, only 44 machines are operating, the 9 machines that were initially produced are particularly called Single Numbers. All were given as a gift to the 9 directly under lower branches in the name of Teiwaz's representative McMurdo Barriston. In Turbines which is one of those branches, it was entrusted to Amida Arca by Naze Turbine, it's being operated as her custom machine. -Amida Arca: large build woman that actually takes command during combat. Naze's children call her ''big mother'' while the other Turbines member idolize her as ''elder sister''. Every time Naze brings a new woman she scolds him but he's forgiven eventually. 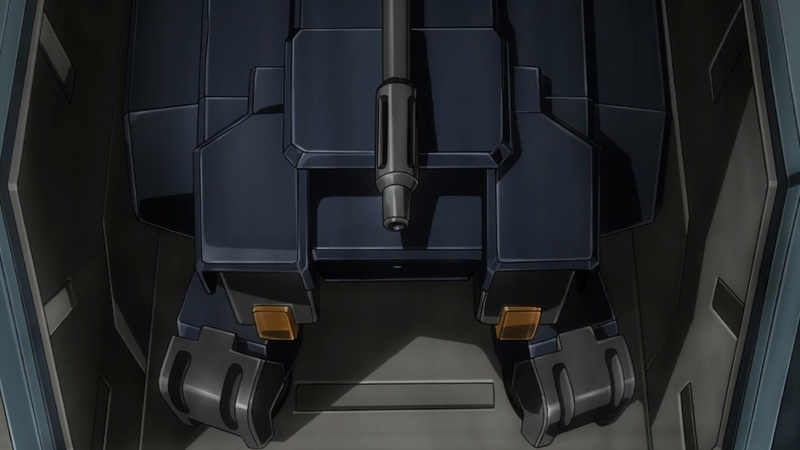 -Single Number: the Single Number Hyakuren uses high purity Jupiter Metal inside the reactor's shock absorber as well as to bear the electrical conduction within the frame. The reaction speed, at the highest output, is shown to surpass the performance of the ordinary Hyakuren. The coloring was applied by Turbines. 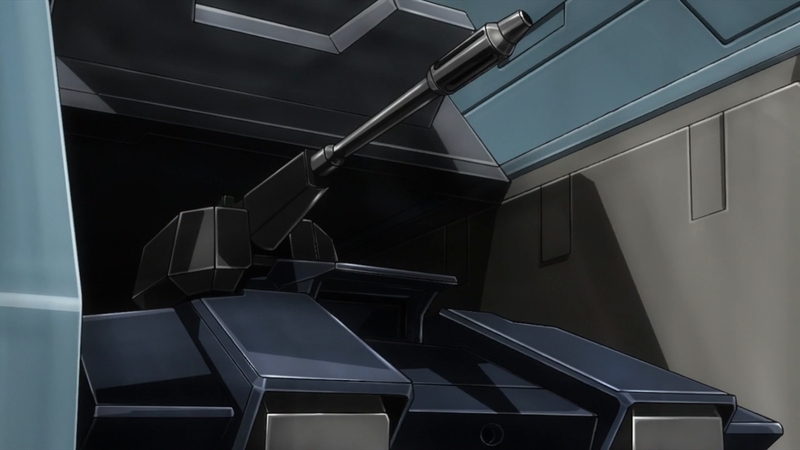 -Environmental activity: Hyakuren is based on heavy armored equipment. This is because operation in the debris zone is unavoidable for them who are mostly involved in activities in the Outer Sphere. By increasing the machine's weight, resistance to collision energy is enhanced. Under gravity, a lightweight armor conversion for a land battle equipment retrofit is possible. -Assault Rifle: a standard Hyakuren equipment that has been developed substantially raising the caliber, a revision of Rifle Canon's accuracy, single shot power and effective range is performed. 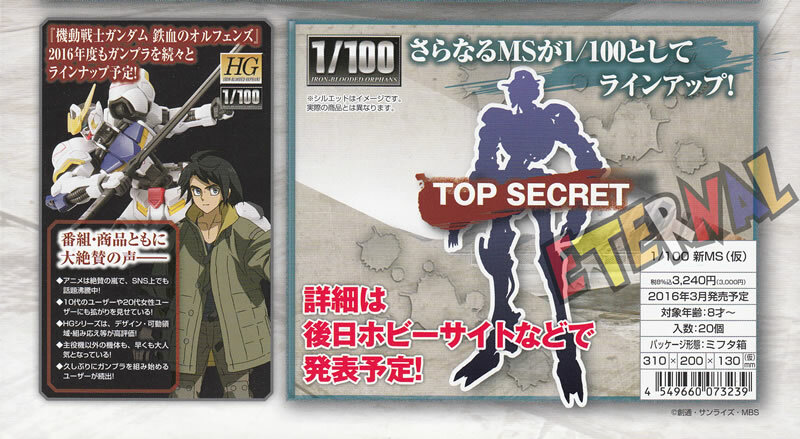 1/100 Graze soon, MS B's name will be officially revealed on 1/15. 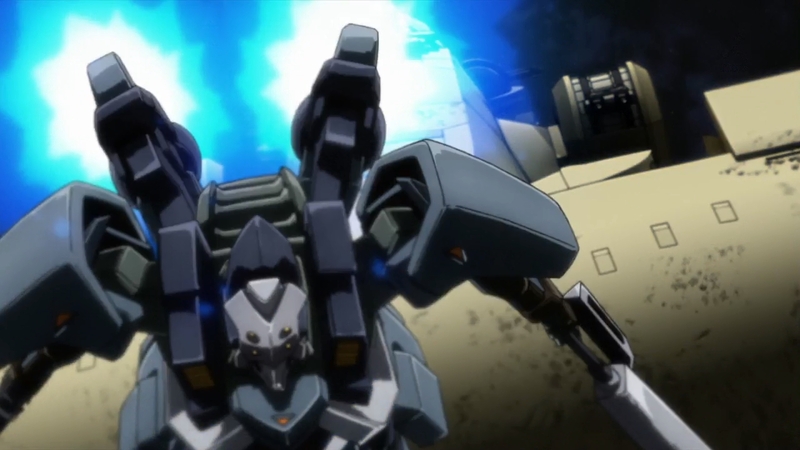 There is a lot of simple and uncomplicated features in the mecha design for this series. The neural interface system is the most complicated and complex thing that has been shown to us so far. But the mobile workers and mobile suits are very straightforward, without many fiddly bits, and designed & constructed with an eye to endurance, casual damage resistance, and length of service. Apparently in the Post-Calamity Era if resources are allocated to MS production, then those MS had better be able to serve for a long time! Never mind high performance either, make them tough, easy to repair, easy to mod out. "I am fire. I am death. I am Hashmal." -Graze Frame: for the concept of basic frame development, simplification of the construction is raised, in comparison with the Gundam Frame that represents Calamity War era MS, greatly condensing the amount of structural materials. It's a superior machine that had development and operational costs reduced, a MS that can be called the culmination of current technology. It has a versatility that doesn't choose environment, retrofit of equipment and the like is also substantial. -Head's opening and shutting, mobile spherical sensor: an excellent sensor to measure Ahab Waves, infrared rays and the like is equipped in the head, when performing optical long distance viewing and precise measurement the spherical module is exposed. -Thruster: it's equipped with retractable thrusters in the legs. By storing them inside when unused, the fuselage's damage rate is reduced when hit. OP 2 next Sunday should show some of the upcoming MS in action. Reminds of an Armored Core more than an MS. Especially its back, legs and rifle. I like the new Gusion. It looks better every time I see it, especially the skirt armor and backpack verniers. 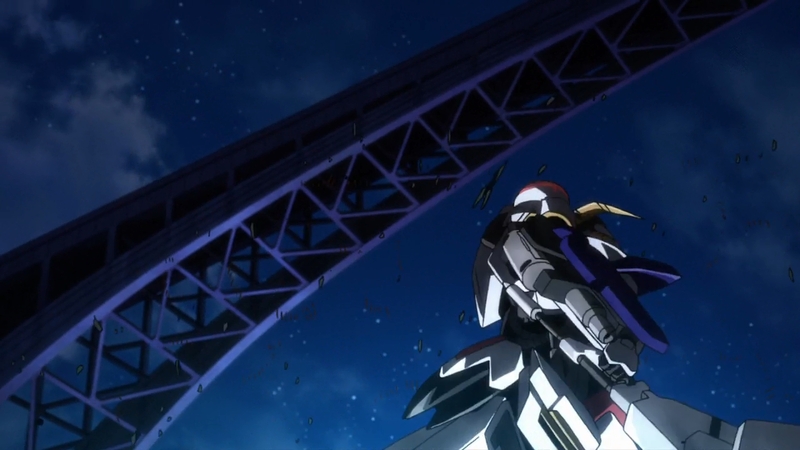 I've been a wait'n for a vernier pack like that since the GP02 or whichever from Stardust Memory. Gotta admit though, it looks better from the back than the front. The front just gives me that underwhelmed look Myth mentions. It reminds me of the Throne Veranus from 00 a little bit especially the leg parts. I'm surprised it isn't designed by Washio. Also I need get off my lazy thing and watch Episode 13 already so I can visit all the threads. I'm suffering a mental block of watching new episodes for some reason. Is it not designed by Washio? Because it really really looks like it is. MS B is a Washio design, he said he will design all hero Gundams while Ippei will design the enemy Gundams. balofo wrote: MS B is a Washio design, he said he will design all hero Gundams while Ippei will design the enemy Gundams. Okay cool. That makes a lot of sense then. Alright, that does make more sense. It really looks like a Washio design. -There will be another 1/100 kit besides Kimaris and the Hi Resolution Barbatos, same price as the Kimaris. -2 new 1/144: MS E(a bit more expensive than regular releases) and MS F(same price as the regular releases). So 2 new MS designs incoming. Dengeki spoiled Gusion Rebake as the official name and MS D's name as Grimgerde! -New Graze variant(new head and shoulder armor) which carries the Option Set 4 large sword, piloted by the new woman character. -Ein will also get McGillis' Schwalbe Graze. 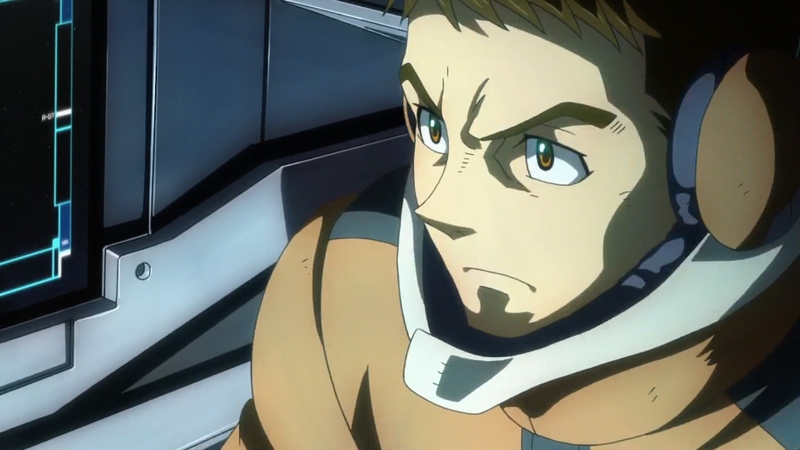 -Norba is the Ryusei-go's pilot. Gusion Rebake's rear skirt armor doubles as a shield. 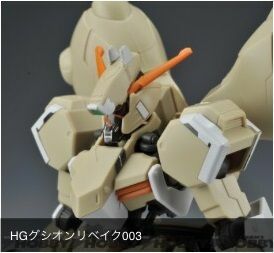 Gusion Rebake uses a modified? Graze cockpit. -New Hyakuren variant(new head, shoulders, back thrusters) carrying a new melee weapon and a new rifle for Azee and Lafter. 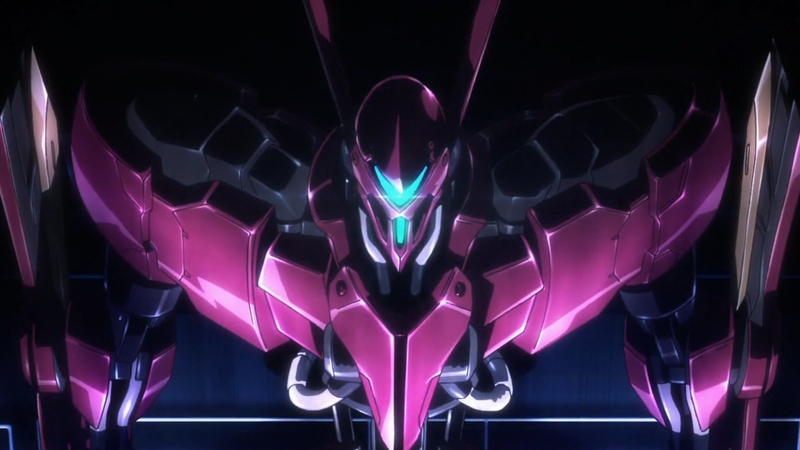 -Grimgerde is painted in red and piloted by a masked McGillis. The swords are yellow, maybe they have special properties. Ep 14 also gives us the name of the Gjallarhorn's battleship: Halfbeak Class. Bauduin's family has the exclusive use Sleipnir. Designed by Ippei. **This proves the second spoiler batch from chinese wiki is fake. Valkyrja Frame might be real but it doesn't have 2 Ahab Reactors since it has only 1 cylinder in the chest anyway. 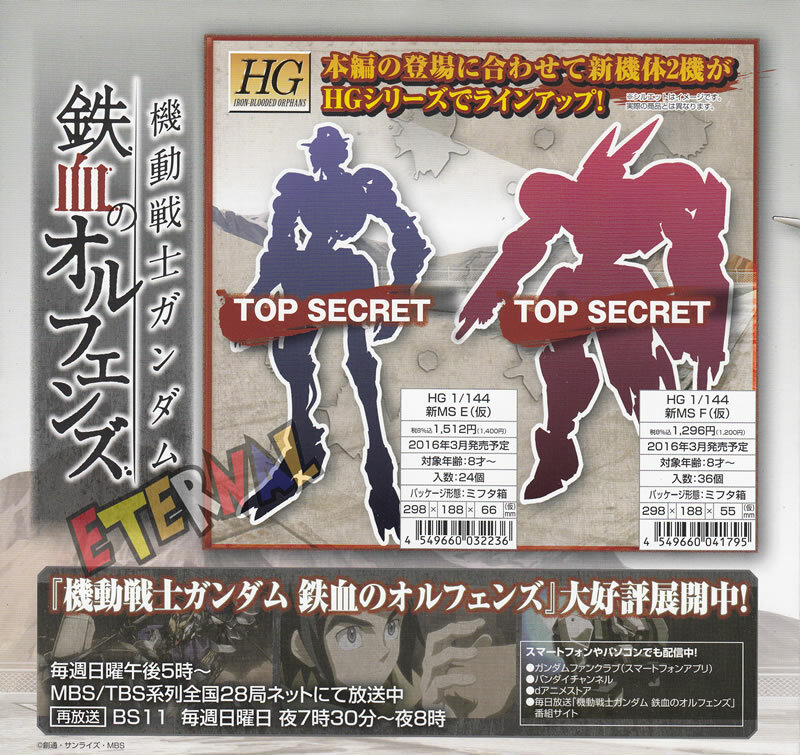 Now we wait for the MS E and F silhouettes to be revealed to see if they are the new Hyakuren/Graze variants or something else. Barbatos new weapons are either in a future Option Set 5 or it's actually its 5th form and maybe it's MS C.
A)The unknown 1/100 just has a generic Gundam Frame silhouette. Taghobby lists it as Barbatos 6th Form, might be speculation since this name isn't mentioned in the pic. 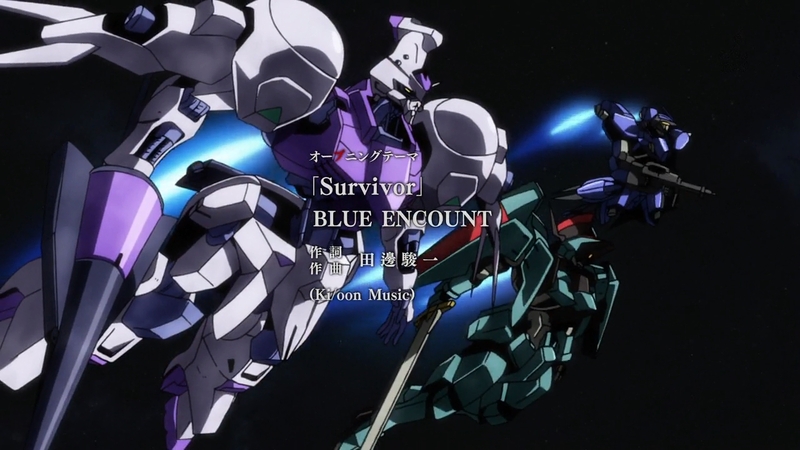 B)MS E has a generic Gundam Frame silhouette. Taghobby lists it as Kimaris Enhanced Type, might be speculation since this name isn't mentioned in the pic. C)MS F has the Grimgerde silhouette. Taghobby lists it as Earth Sphere Army MS - Commander Machine, might be speculation since this name isn't mentioned in the pic. If these names are real that means the new green Graze and the new Hyakuren variant aren't getting normal gunpla releases. The new Graze's large sword is already in Option Set 4 so that looks believable and the Hyakuren gunpla doesn't have any runner switches that would indicate a planned variation. 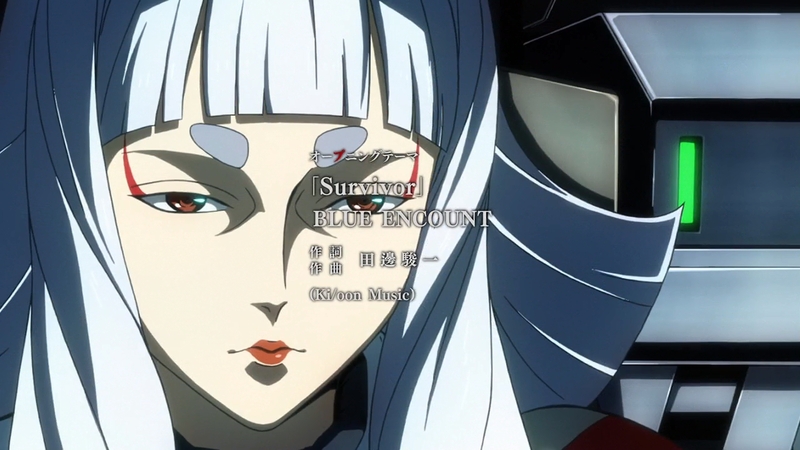 MS C must be a Barbatos new form(6th) too. 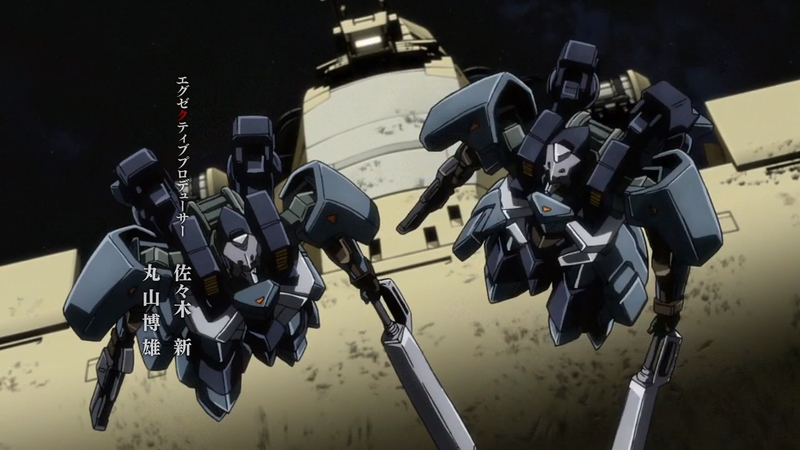 That means the 5th form is the one shown in the OP2 with the 2 arm attachments and a new melee weapon.